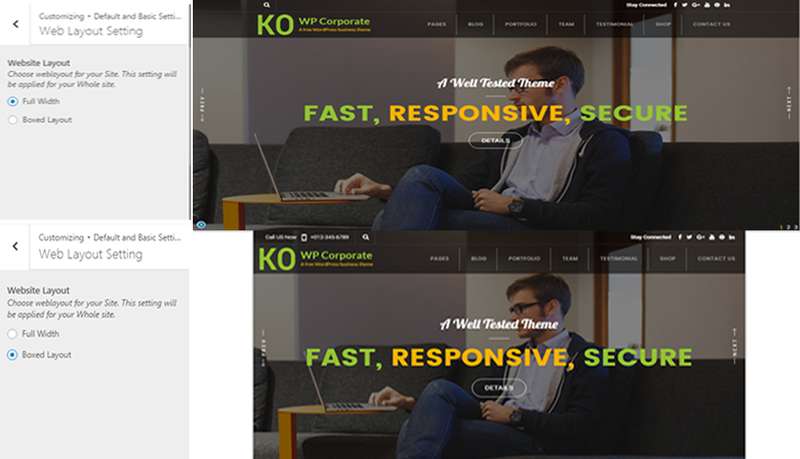 WP Corporate WP Corporate is clean & modern WordPress Corporate Theme. It is ideal for business, corporates, blog or personal website. 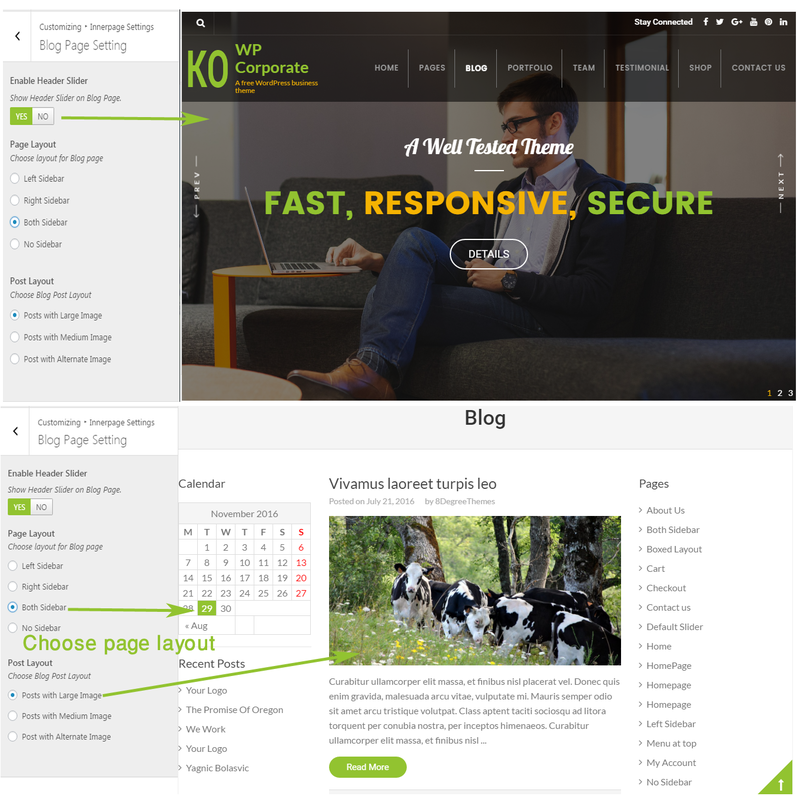 It is a cutting-edge, feature-rich FREE WordPress Theme and is fully responsive. 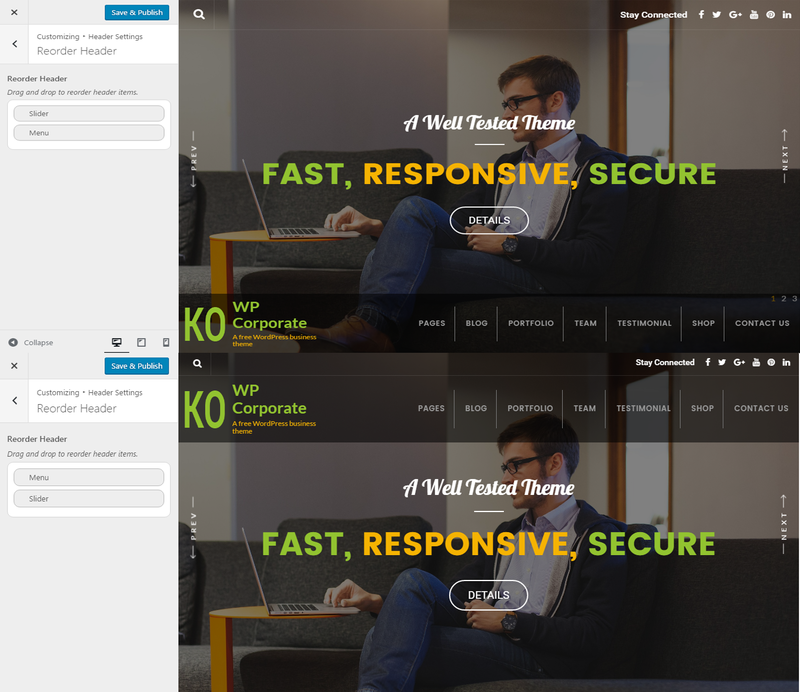 Activate the Wp Corporate and Click on “Theme Option” in the Appearance Menu in the Dashboard. 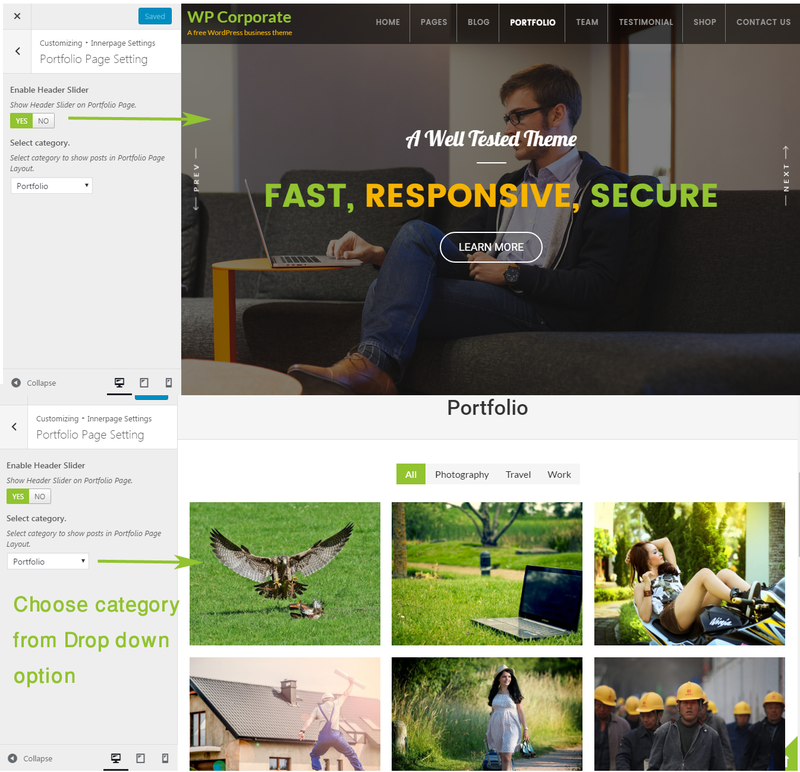 Copy the files inside "Wp Corporate" folder from the zip file of the latest version of Wp Corporate Theme. 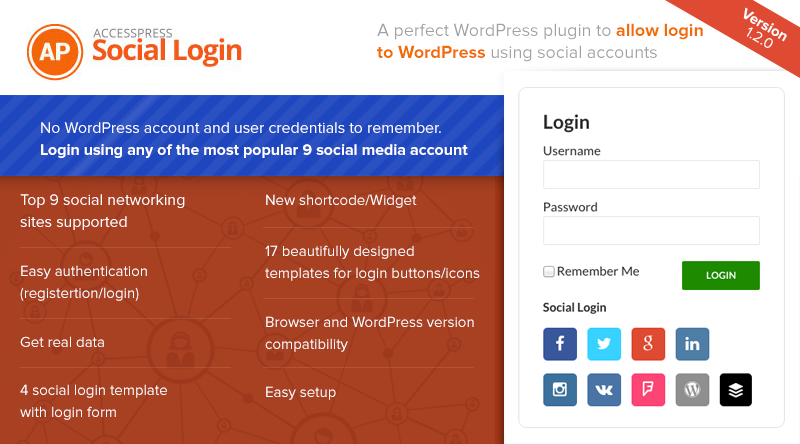 Log in to the WordPress Administration Panel.Go to Appearance > About WP Corporate. 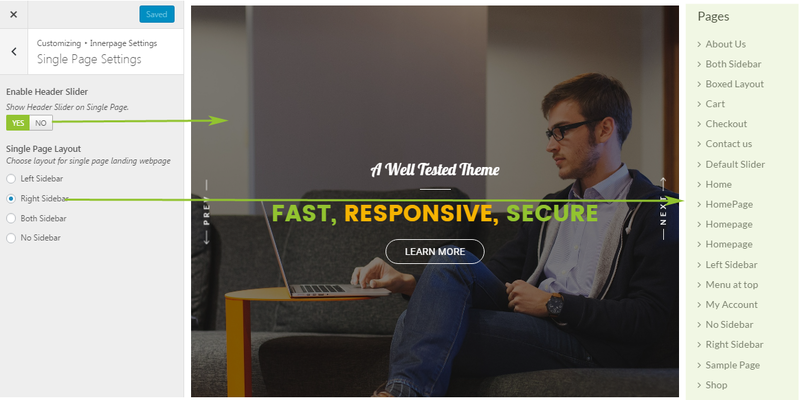 This theme provides a 'Homepage' template for your home page. 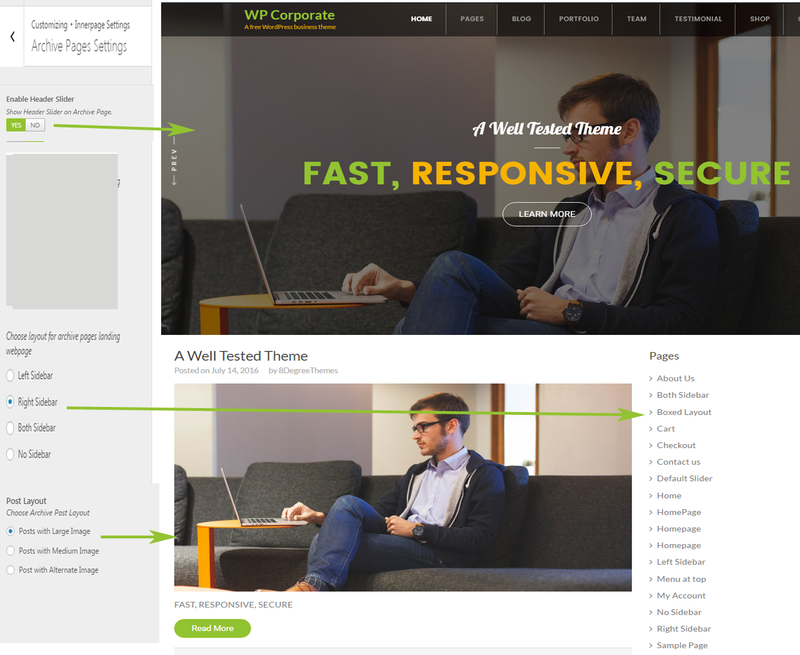 Please follow these steps to configure your Home Page with 'Home Page' templates. Go to dashboard>Pages>Add new . Create a page (' For your Home Page'). Enter the title ( eg. 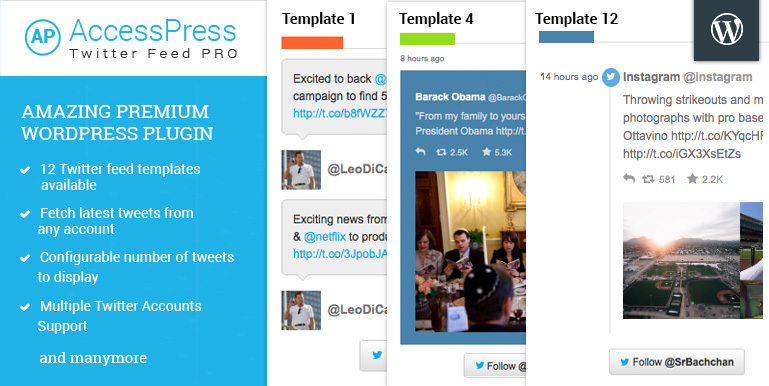 'Home Page' ) add and assign the pages with home pages template . Click on' Publish' button . Now Go to Dashboard > Settings > Reading . Set 'Front page displays' option to display 'A static page' . Choose your site logo . Choose Background Color --"Background Color" refers to the whole site background color. Reorder Slider and Menu up and down to show them on homepage respectively. Drag and drop to reorder header items. Create a Post 'Category' for Slider then select respective Category. Select the category to show in slider. You can add Readmore link here. Select yes to show titles and description over a slider. If you want pagination on Slider then Enable Slider Pager else Disable Slider Pager. If you Enable 'Slider Control' then 'Next' and 'Previous' Slider text Will Appear on Slider Images. If you Enable 'Auto Transition' then the auto transition will appear on Slider images. Enter text to HTML for a call to action. Choose the layout that you want(Left , Center , Right) . (If you want to show slider in Homepage then Enable Else Disable ) . (If you need , Enable Feature Section then it will appear just below the Home Page Slider Else Disable) . ( If you Enable Feature Page then it will appear just below the Home Page Slider Else Disable) . (Select page to show in featured Page in left side of Featured Section) . (If you Enable Feature Post then it will appear on section ). Select the category that you want to show on Featured section. Add description for the skill section. (If you Enable 'Testimonial Section' then it will appear just below Skill section) . 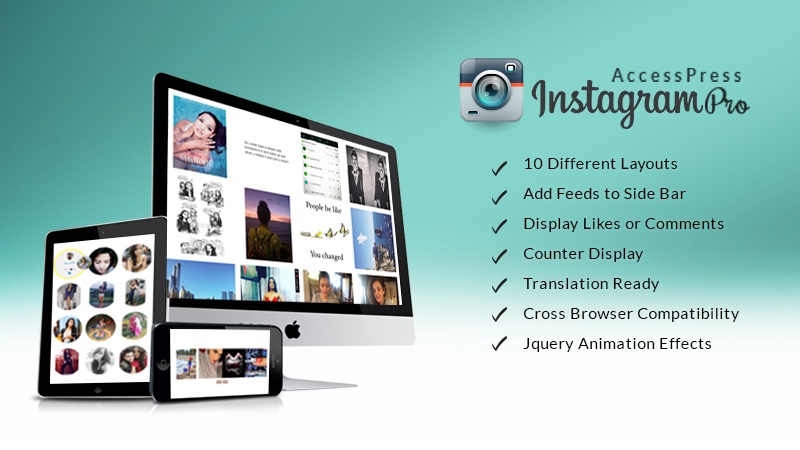 Add description for the testimonial section. Select Categories to Show in Testimonial Section. Enable/Disable Client Section on Homepage. (If you Enable the' Client Section ' then it will appear just below the 'Testimonial Section' ) . select Category to show in client Section. (If you Enable the 'Blog Section' then it will appear just below the 'Client Section') . 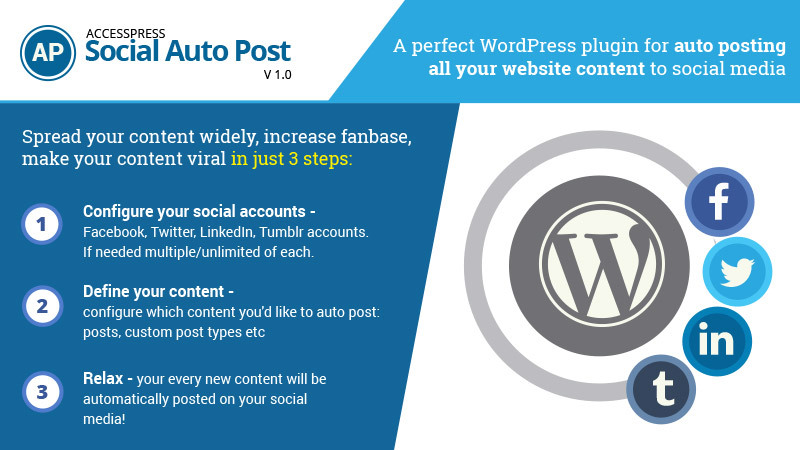 (Create a Post 'Category' for Blog Section then select respective Category) . (If you Enable the Header Slider Option then Slider(images) will appear on Blog Page Else Disable) . Choose Category to show post in portfolio Page. Enable/Disable Slider on Team Page. (If you Enable the Team Page Slider Option then it will appear on Team Page Else Disable) . Choose the category to show in team page. 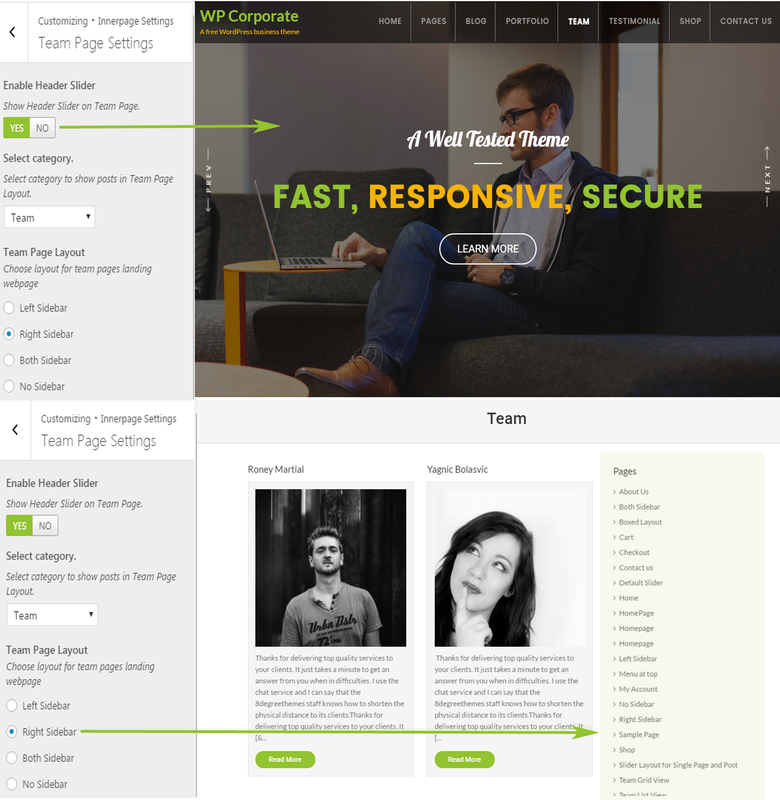 Choose a layout for Team page. Enable/Disable Slider on Testimonial Page setting. 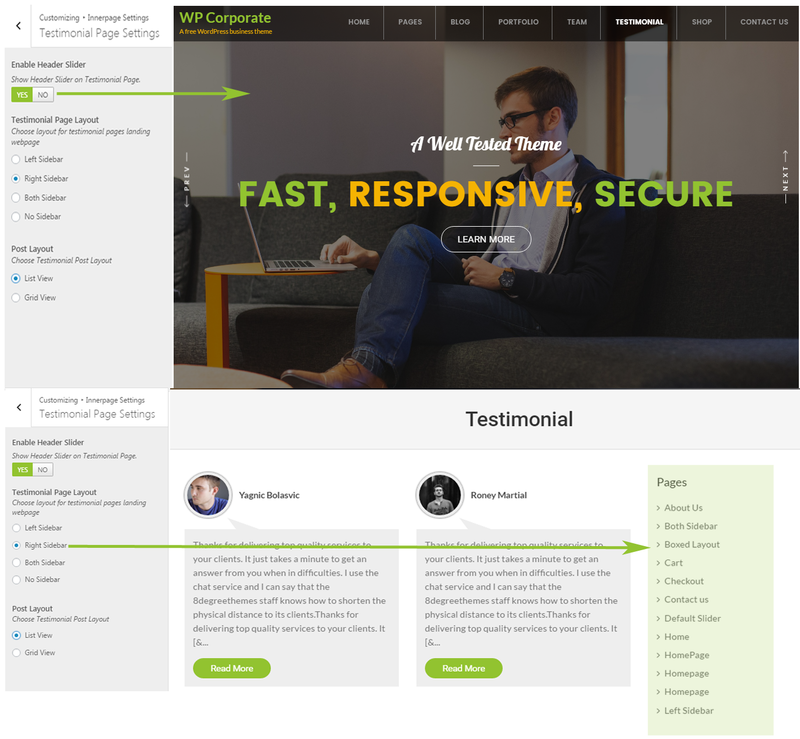 (If you Enable Header Slider for the Testimonial Page then it will appear on Testimonial Page) . 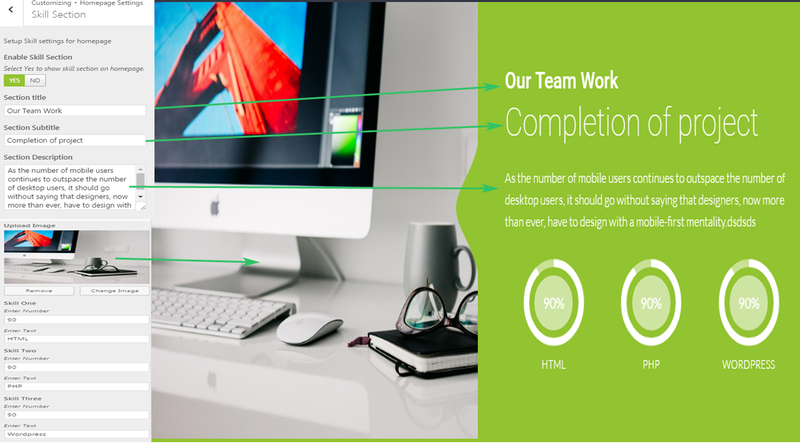 Choose layout for testimonial page. 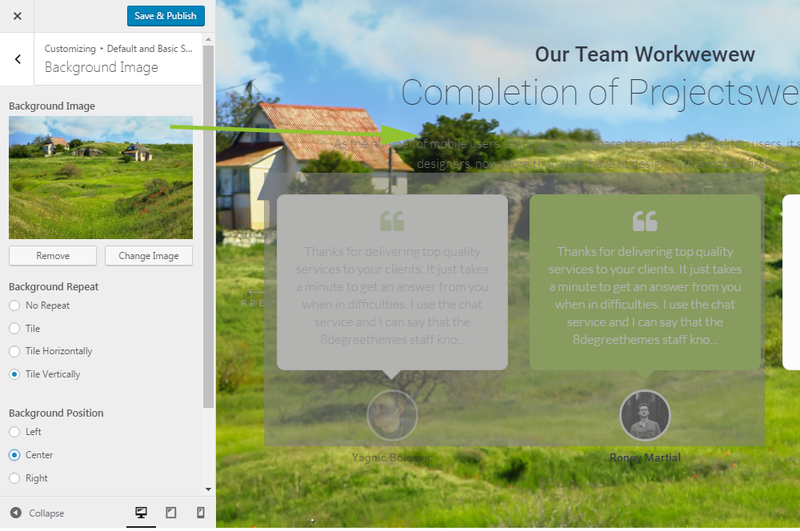 Choose layout for testimonial post. Enable/Disable Slider on Archive Page. (If you Enable Header slider for the Archive Page then it will appear on Archive page ) . Choose layout for archive page. Select sidebar from the drop-down sidebar lists. Enable/Disable Slider on single page. Enable/Disable Slider on a single post. (If you Enable Header Slider on Single Post Setting then Slider Images will appear on Every Single Post. (If you Enable the Footer Link then it will appear just below the 'Call to Action section') . 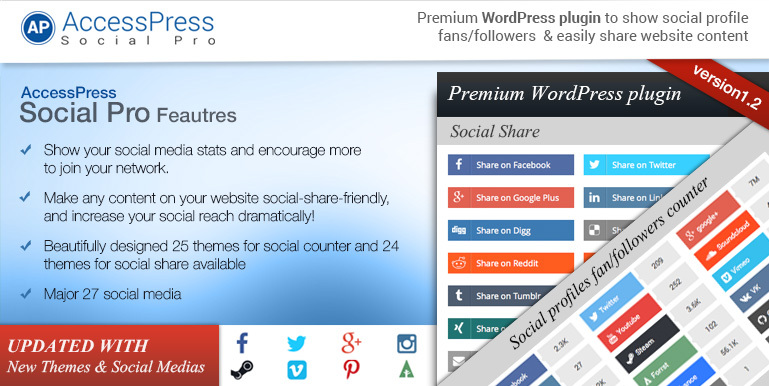 (You can add Footer Text for Footer Footer Social Link) . Enable text or HTML to Show in Footer. Enable/Disable social links in the footer. Add respective social URL. Leave blank if you do not want to display the link. CLICK ON "Save & Publish" TO SAVE "SOCIAL LINK SETTINGS".